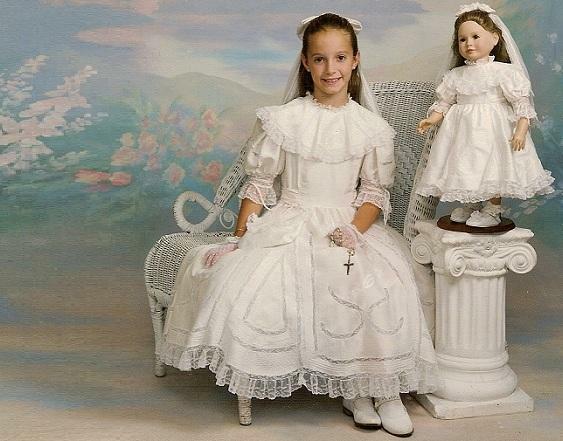 Girls Communion Dresses - Custom made First Holy Communion dresses which can be personalized to create a lasting keepsake of her special day, featuring a variety of designer fabrics and trims. 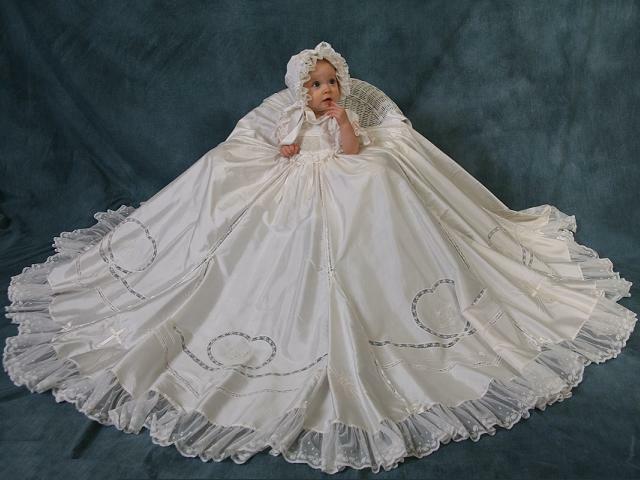 The Princess Collection - When only the best will do ~ Exquisitely detailed custom First Communion gowns created exclusively for her special day! 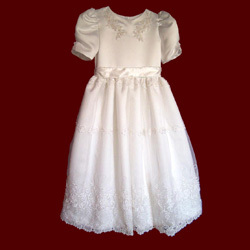 Irish Girls Communion Dresses - Irish custom made First Holy Communion dresses which can be personalized to create a lasting keepsake of her special day, featuring a variety of Irish accents and Belfast's Best Irish Linen. 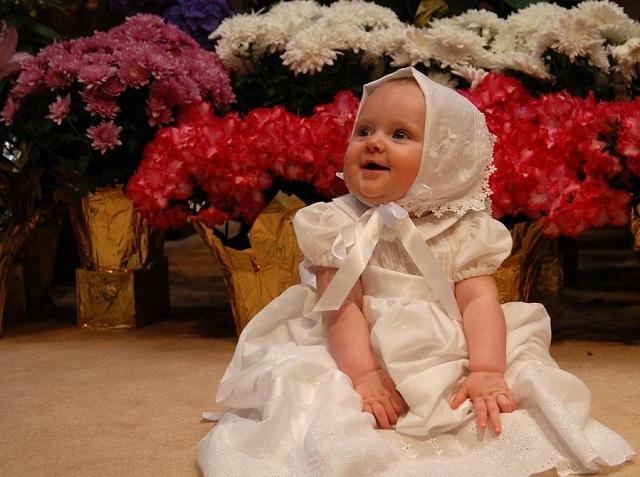 Communion Veils - Communion veils and headpieces in a variety of styles, colors and designs. 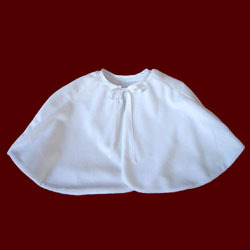 Communion Sweaters & Capes - Communion sweaters, capes, and jackets provide the perfect cover-up for cooler climates. 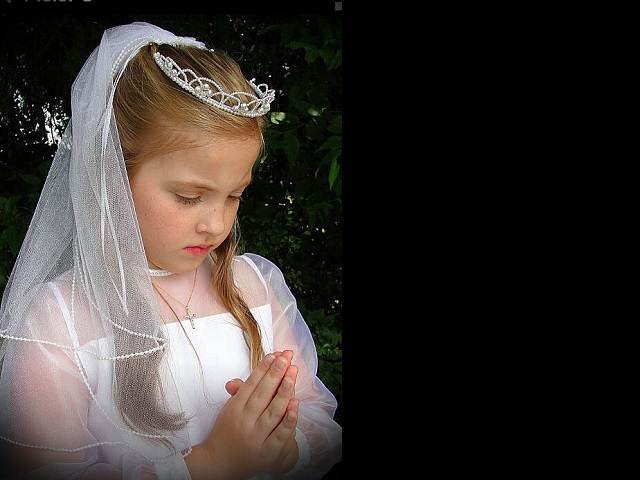 Communion Bibles & Photo Albums - Communion Bibles & Photo Albums, keepsake, personalized and custom made in a variety of fabrics, styles and sizes. 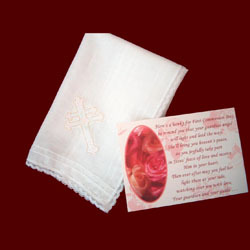 Communion Hanky - Communion Hankys can be personalized for a lasting keepsake of his or her special day. 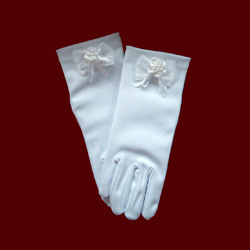 Communion Socks & Gloves - Communion socks & gloves available in a variety of sizes & styles. 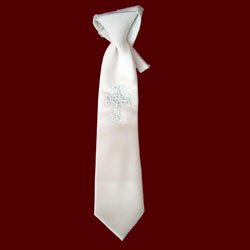 Boy Communion Accessories - Communnion boy accessories include embroidered, monogrammed ties, hankies and bibles. 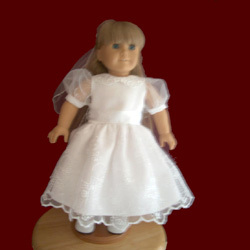 Communion Doll - Communion dress for your keepsake doll ~ available in a variety of styles & sizes, special orders by request. 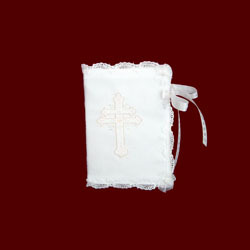 Communion Purses - Compliment her communion day ensemble with a small purse to hold her special treasures. 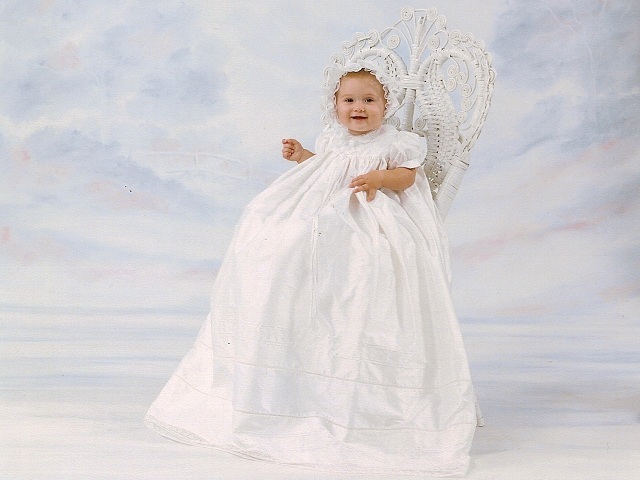 Your choice of design, fabric and trim to match her dress. Purses may also be monogrammed or personalized for that extra custom touch. 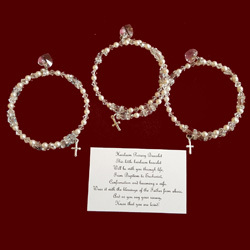 Communion Bracelets - Swarovski crystal rosary bracelets for communion to become a keepsake for confirmation and wedding day. 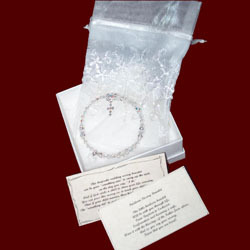 Gift boxed with sentimental poem. 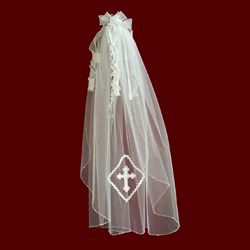 Communion Clearance - Choose from a variety of in stock communion items clearance priced as shown. Prior sales excluded. Limited quantity available.